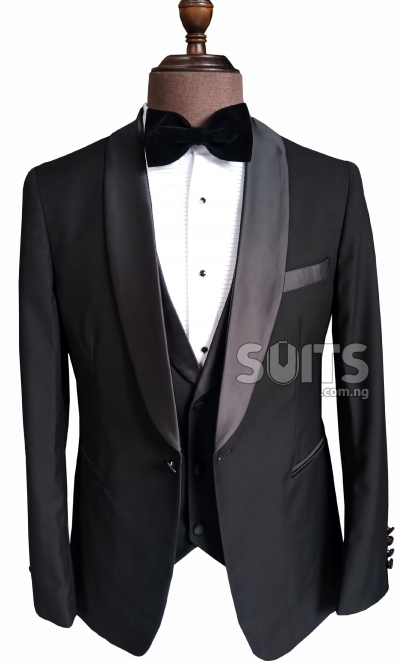 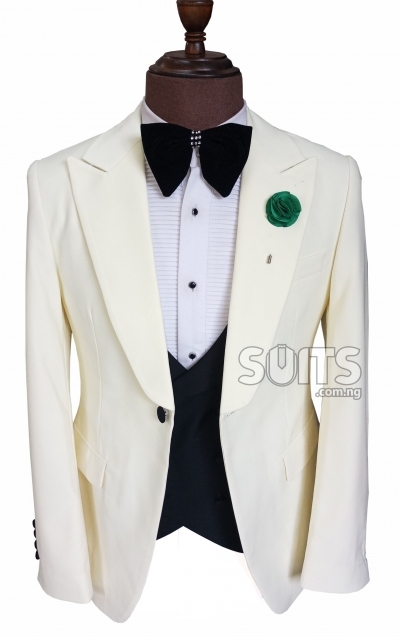 Suits on this section are recommended suits for weddings by suits.com.ng. 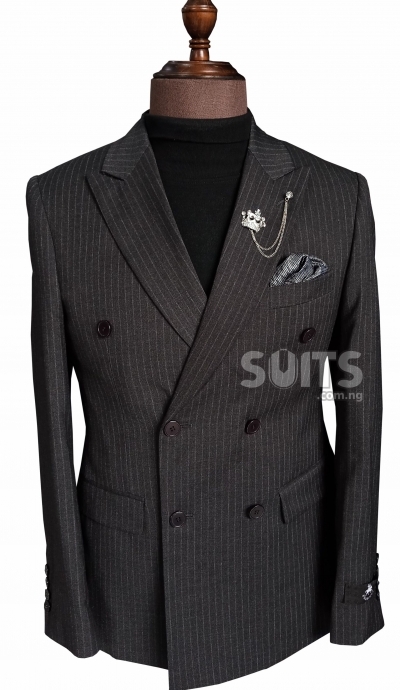 They were selected from different categories of suits. 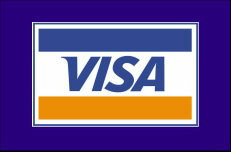 As the old adge goes "One man's meat is another man's poison". 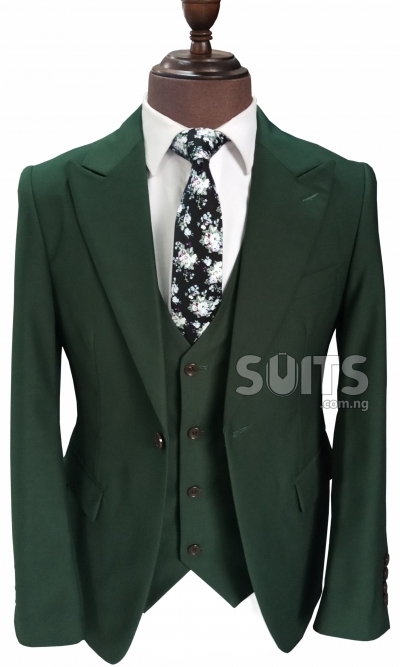 As many flamboyant grooms would not like to wear a business/lounge suit for wedding. 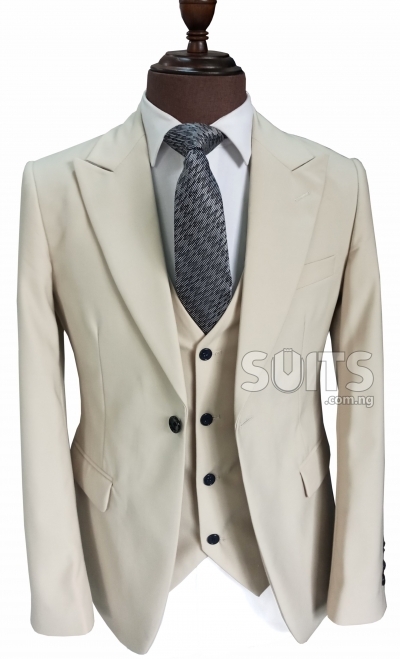 The conservative ones would prefer a business suit. 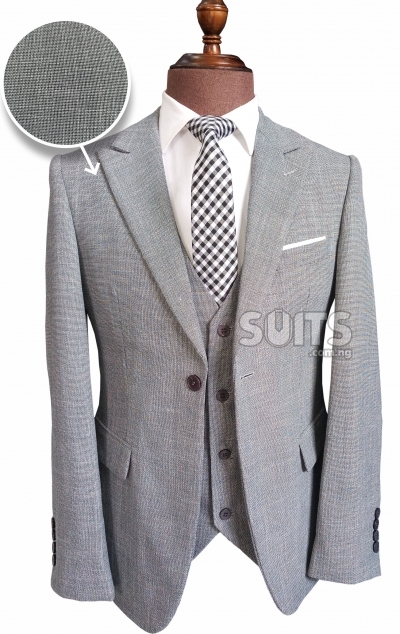 The individual temperament and personality type influences his suit of choice for wedding. 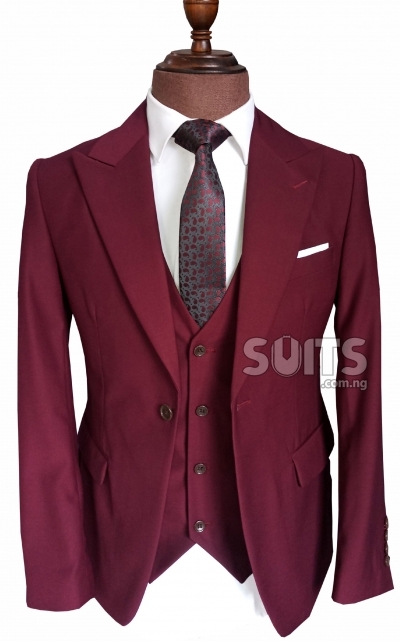 Note: For all suits in this section, there is a need to confirm the colour and the material of trousers. 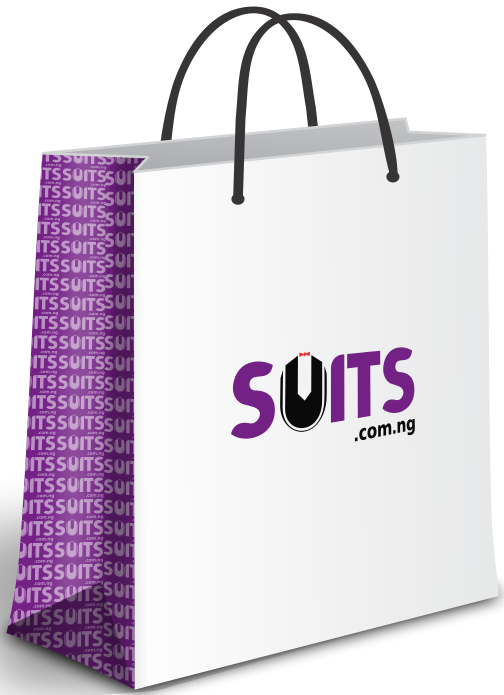 Suits.com.ng is not only the value leader in the fashion industry but also the most innovative Suits designers in Nigeria. 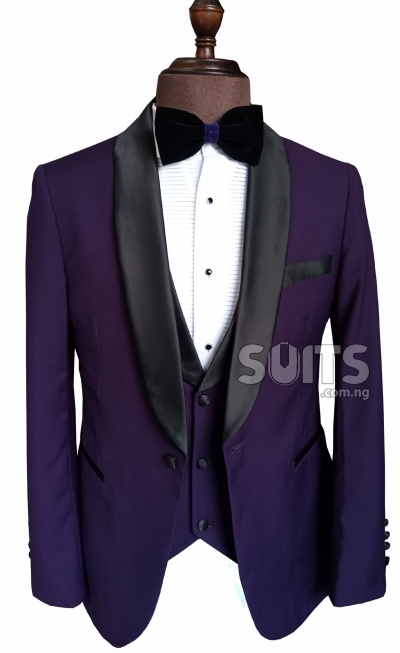 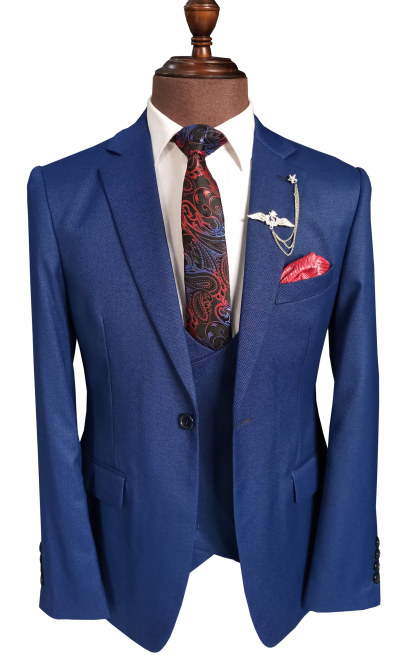 Our ability to creatively reach into the future and design what the latest wedding Suits should look like, has put us as the most sought after for Suits and accessories for grooms and groom’s men in Nigeria. 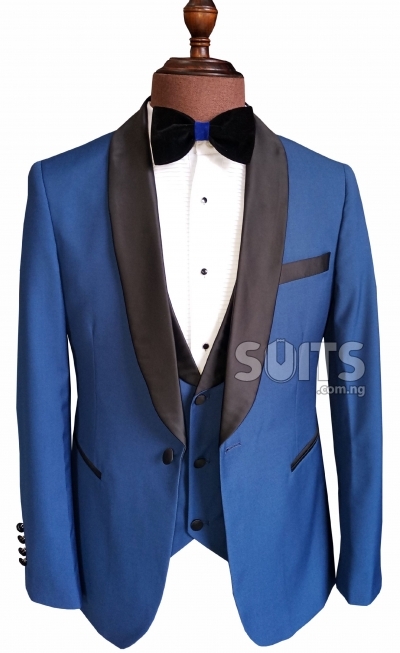 Buying latest designers wedding Suits online has never been this easier, once you place your order online through our website or through our whatsApp handle, your Wedding Suit will be delivered to you within 2 to 3 days anywhere in Nigeria. 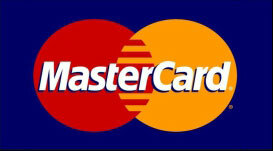 There’s flexible payment plans of to pay online through a secure payment system by Paystack or payment at the point of delivery to our logistics partners. 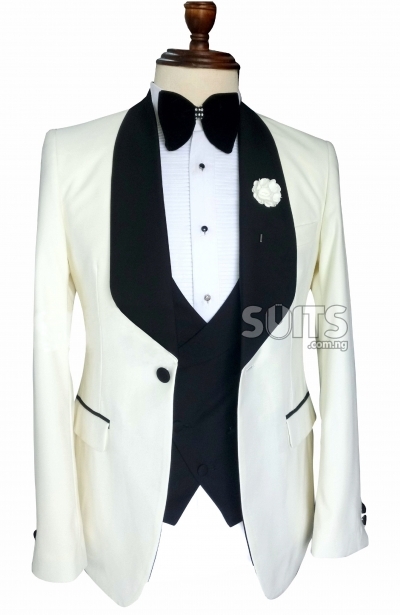 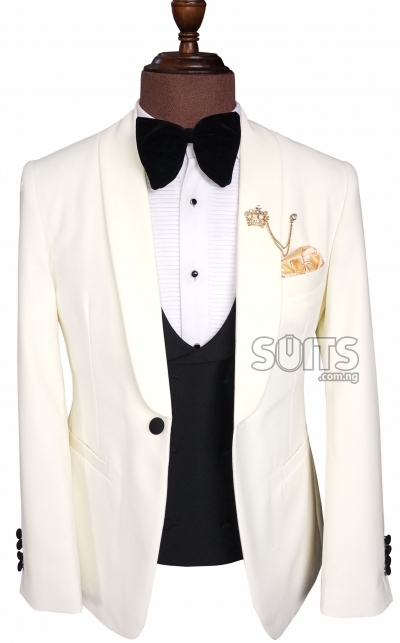 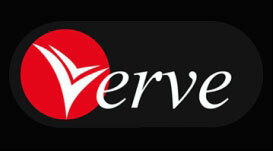 We sell the best wedding suits at affordable prices. 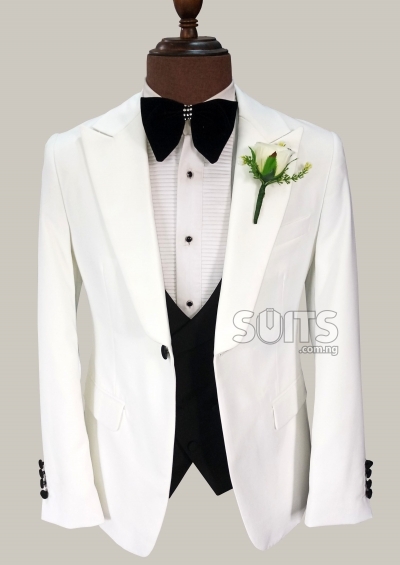 We also have an offline center for grooms to be, to test out the wedding suit of their choice. 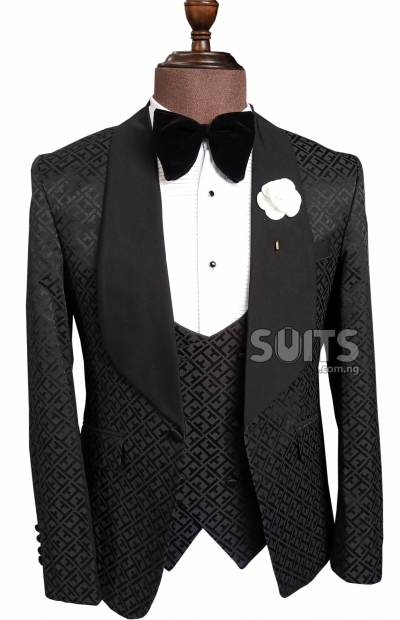 As a ceremonial Suit, wedding suits should be glamorous and unique and that’s exactly what we offer customers. 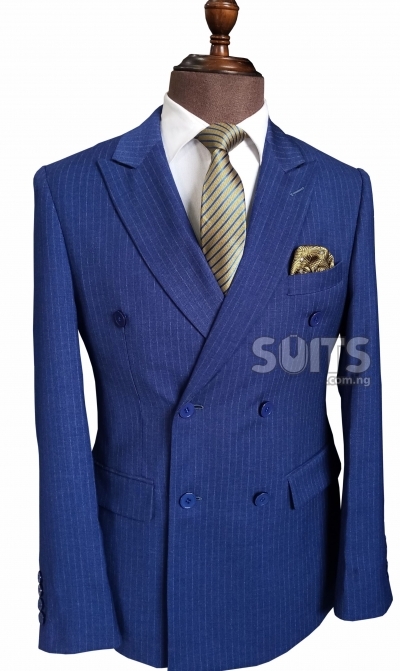 At Suits.com.ng, we are always concerned about the fitting of the Suit on each customer, and that’s why we have a standby professional tailor for amendments when the need arises to ensure a perfect fit. 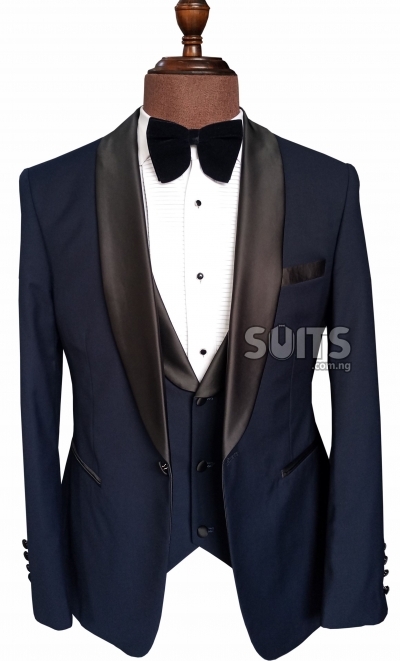 We have different designs of Suits for weddings, ranges from Tuxedos, 3 piece Suits, double breasted Suits, blazers, to a business suit use mostly by conservative grooms.